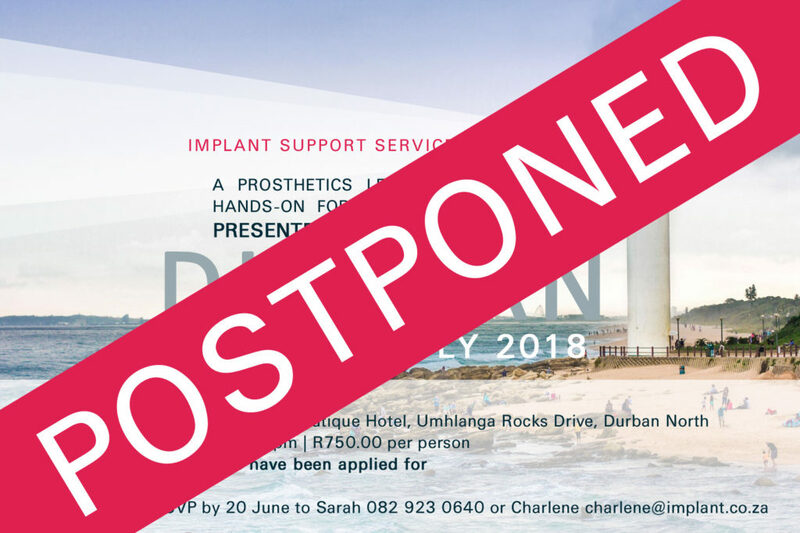 Implant Support Service regrets to announce that we have had to postpone our July Hands-On in Durban. 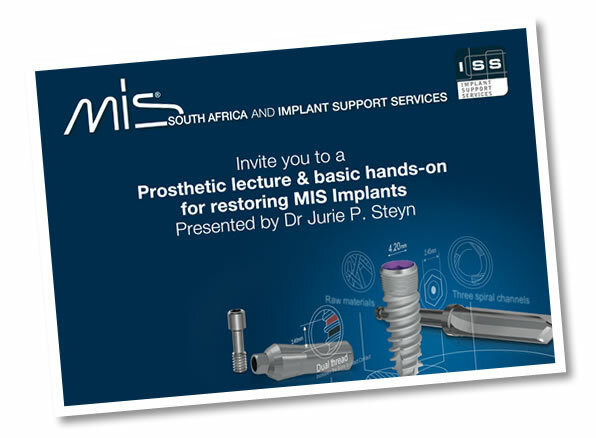 We will be hosting an international speaker in Durban at the end of the year, and will combine the Hands-On presented by Dr Steyn with that. Please follow us on Facebook for details as they are announced.